If you’re an MRI user who would like to expand the scanning capabilities at your facility, you’re going to need to invest in some additional coils. We can't promise that upgrading your stable of coils will be cheap, but we can help you get the process started with a little basic budget building. Below you’ll find current average pricing for a variety of MRI coils, both new and refurbished. Already know which coils you need? Click here to request a quote! 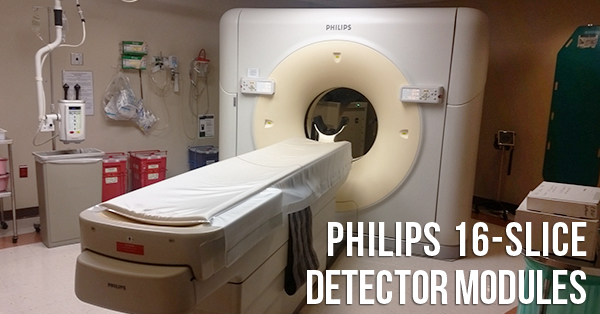 Before you begin working with the ADM modules on your Philips CT scanner, there are some things you should know. First and foremost among these things: if you want to maintain optimum image quality, you can’t use your ADM modules interchangeably. 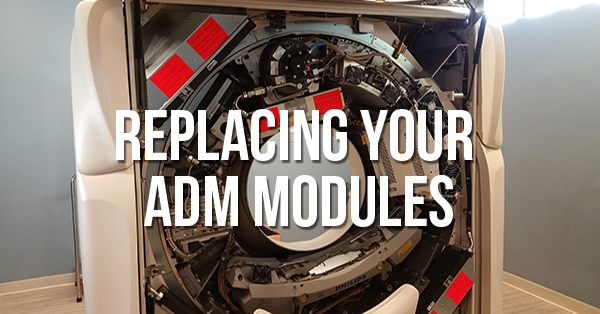 Keep reading to find out why and learn best practices for replacing ADM modules in your system. Your Philips Brilliance 16 or MX8000 IDT 16 CT scanner depends on its 42 detector modules (part # 4550-120-01081 for Brilliance, part # 4535-665-00421 for MX8000) to provide crisp, clear, artifact-free images. If your image quality is starting to suffer, the modules are a reasonable suspect and some of them may need to be replaced. Of course, once you know that, the next things you begin to wonder are how often can you expect this to happen, and how much can you expect to spend? Read on for the typical life expectancy we've seen from our Philips CT customers around the world as well as the current average prices we're seeing in the market. The interventional lab in most hospitals is a critical room that needs to perform like a workhorse for cardiac catheterization, electrophysiology, embolizations, ablations, and a slew of other procedure types. Downtime on a cath lab results in rescheduling patients at best and, if a lab fails during a procedure, it’s all hands on deck to care for the patient while working to get the equipment up and running again! In these crucial and complex systems, one of the most important components is the X-ray tube. As a core component of the imaging chain the tube carries a heavy work load, generating X-rays and managing heat. 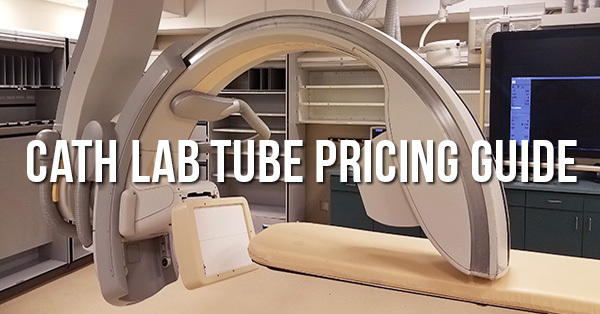 As you weigh out the risks and rewards of supporting your own service in-house vs. placing it under a service contract, the following guide is designed to help you plan for the eventual failure of your lab's X-ray tube. Have you ever had someone try selling you refurbished X-Ray or CT tubes? Do you know what the phrase “refurbished tube” means? Your guess is as good as mine, because the idea of “refurbishing” a tube doesn't make a whole lot of sense. A CT tube (or X-ray tube) that is not brand new can only fall into one of three categories: used, reprocessed, or reloaded. Depending on the work done (if any), each category has its own trade-off of cost for projected lifespan. 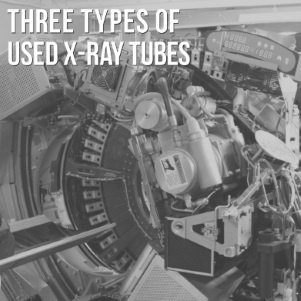 In the video below, we'll break down those three categories to help you understand the processes that are really applied to used X-ray and CT tubes and what they mean for tube longevity. A text version is included as well for your convenience.